In the practice of Homeopathic Medicine, a comprehensive interview of the patient, called the homeopathic case-taking, is taken to reveal the physical, psychological and emotional characteristics of that individual. The homeopathic practitioner then finds the homeopathic remedy whose materia medica (drug picture) is the most similar to that of the patient’s characteristics. That homeopathic prescription (the similimum) is given to the patient. This explains the “like cures like” explanation that is commonly given to homoeopathy. Dr. Reichenberg-Ullman will start from the beginning and give us the basics of homeopathic medicine. So, if you are thinking of trying homeopathic medicine yourself, or just want to learn more about this modality, be sure to tune in! Hi everyone, once again, thank you so much for joining us for this episode of Health Talk by Doctors Health Press. My name is Sarah Cownley and I’m going to be your host today to help guide you through the show. There really is so much information out there today concerning natural health and I know how hard it is to try and find the time to sort through it all. Well, that’s where my job is going to come into play. You see, I’ve sorted through everything for you and found the experts in the topics that you and your family need to know about, and I’ve also sorted out a lot of the facts from the fiction. Now. I really hope you’ve been enjoying the past few episodes of Health Talk because so far we’ve been learning some real interesting information about our health and ways to help to avoid chronic illness and disease. But, we’re only just getting started here because we’ve got so many more episodes lined up with many of the leading experts in natural healthcare. So, if you’ve been looking for some informative and up to date information that you can really truly rely on, then look no further because each episode of health talk is going to be bringing you well, really in abundance of helpful information to keep you and your family healthy and happy. So now I’d like to take this time to welcome Dr. Reichenberg-Ullman to the show. Thank you. I’m happy to be here. It was. Okay. So now let’s start off with of the basic question of what is homeopathy? Homeopathy is the safest, most natural, gentle, yet effective form of healing that you will find. You can tell I’m prejudice, but I’ve been doing this for 35 years and it’s a completely natural if you don’t have to worry about whether it’s organic or not, whether it has any additives or preservatives, whether it has side effects. Homeopathy just doesn’t work that way. It’s very safe even for pregnant women, for newborns, for pets, and for people with weakened immune systems. It’s just how you dose the homeopathic remedies, but it’s very gentle yet effective. Okay. I guess to get started, how does someone know that they need homeopathy? Well, if you have, if you really feel like your system is totally in balance, you’re happy, your vital, you’re healthy, you’re not having physical, mental, emotional symptoms, then that’s great. Then you may want to use homeopathy for a sprained ankle, for a bee sting, for hay fever, and that may be all you need. But many people have deeper problems than that and they may have musculoskeletal problems, hormonal problems, mental and emotional issues. And all of those can be addressed with homeopathy. Like I said, I’m completely new to homeopathy. So is homeopathy, just the practice of medication. I’ve seen like the little pills in the health food stores, or is it kind of an overall lifestyle change? No, it’s those little pills that you’re talking about except if you go into a health food store, you’re going to have a very small you know, a variety of those little pills. And whereas really in the homeopathic Pharmacopeia or the pharmacy, we have over 4,000 homeopathic remedies. And so they are highly individualized and it’s one thing for someone to treat a bee sting, which is a most often made, the remedy is made from honeybee and it’s very different if you’re treating chronic illness. So I’ll tell you a little story which will only take a minute, but it’s pretty impressive. We were teaching in Prague, a homeopathic seminar and this was in March and we were flying from Chile, which is where we live half the year. It was a long flight. And I got to the Madrid airport, which is, we were where we were going to be for about seven hours. I went to the bathroom. This had never happened to me. Solid red solid blood in my urine. I went, oh my God. Now you know, I’ve been doing this for a long time. And I knew what it was. I knew I wasn’t dying. I knew I had a bladder infection. I knew that can happen in situations like that where you don’t go to the bathroom. But I didn’t have the high power homeopathic kit with 350 remedies that we typically take with us because we were traveling lightly and we knew we were going to a homeopathic seminar where other people would have remedies, so I took the potency that I had, which was 30 cc of cantharis. So, now I had heard that homeopathic medicine is actually slow acting, but I guess that’s not true. It’s not true, and I’ve heard that needless to say over the years, so many times, but no, with an acute kind of situation is very quick acting. Even when you’re treating constitutional symptoms, usually within a couple of days to a week, there is an indication that you’re on the right remedy. It’s not like, oh, a month later, oh no, nothing yet. Then that’s not the right remedy. There has to be some indication that the person’s better. We mentioned these little pills, so what exactly are they? How? How are these little pills different than a prescription medication say? Okay, well let me go back just a little bit. They came about because Samuel Hahnemann, the founder of homeopathy, he, there was a lot of malaria in his time and he, surmised that the same substance which causes a set of symptoms could heal a set of symptoms and so he understood that the bark, the Peruvian Bark caused, if you took it over and over again, it caused or relapsing fever was sweating and fatigue and chills and those were indeed symptoms of malaria. And so he experimented with taking that bark in a very dilute form over and over and over again and it cured malaria. So that’s how it started. So it was, it was really a process of understanding that the same substance that causes symptoms can relieve those same symptoms. And then that’s what they mean. Sorry to interrupt. That’s what they mean. I’ve heard when they say like my cures lie. Exactly, exactly. But then he also understood that it needed to be prepared in a very gentle way so that it was not really harsh for the person. And so again, he experimented with diluting over and over again these particular substances, and so they are taken in that forum, they are made into a, you know, what are called a homeopathic basically tinctures that are made with alcohol and then those are prepared diluted serially until they end up as those little white pellets, which are often put on, you know, on sugar pills, that’s why some people call them sugar pills, but each one is a, is a particular homeopathic medicine which is different homeopathic medicine or remedy. And so those are not any little white pill, you know, those pills which have been impregnated, let’s say, with different homeopathic remedies. So if these remedies are so diluted, is homeopathy considered an energetic medicine? Is it more spiritual than physical? Well, that’s a good question. It definitely is a form of energy medicine. However, in different scientific experiments that have shown that nuclear magnetic resonance, for example, I believe chromatography, they have shown that there are different patterns to the substances. The, I think of his name was Emotto That man who did beautiful, beautiful work with crystals, he showed that each homeopathic remedy had its own different crystalline structure. So they are definitely unique and one remedy will work with an extremity will not. Just because one remedy does not work does not mean homeopathy is not effective. You mentioned about the bladder infection, that it was working for that. Does homeopathy work better for women over men or does it work kind of both equally? No, no, no, it, it, it works equally for both. The difference is there is first aid and acute homeopathy. We, we wrote a book, oh, I don’t know, 25 years ago, Homeopathic Self Care, that quick and easy guide for the whole family which has sold, we stopped counting at 30,000 copies and, and parents particularly moms have raised their kids on that book and so it is entirely possible to learn enough for acute and first aid conditions to treat yourself in your family. And in our book, and our book is certainly not the only book like this, but our book has all these icons and it says look, listening, ask. And the whole idea is to teach parents to teach folks how to self-prescribe for first aid in acute conditions, and then it comes with its own companion 50 remedy kit and, or you didn’t, you can get remedies other ways. The other really wonderful thing about homeopathy is the medicines last for life. The remedies do not expire. I mean, if you run out of a remedy like Arnica, well you will need to replace it because that’s a very common remedy for injuries, etc. But otherwise the remedies can be passed on even from generation to generation. That’s very different from conventional medicine. Absolutely. Yeah. Now, saying that about the acute care, are there more serious conditions, are specific ailments that homeopathy is better suited for? For example, is it better for depression and anxiety or do, do many people come to see you about chronic illness, like diabetes? Well, homeopathy can potentially treat any of those problems. I am a psychiatric social worker. I’ve always specialized in helping people with depression, anxiety, bipolar disorder. It’s very different in India where a teacher comes from. Because in India, homeopathy is highly respected by medical doctors. They read some of the homeopaths are medical doctors. They receive referrals. There are homeopathic doctors who work in the hospitals so they have the opportunity to treat the most serious conditions mentally, emotionally, physically, much more than we do here. If somebody makes an appointment with you, how do you go about diagnosing someone and then how do you know what to prescribe them? That person of course will fill out a medical history form. That person generally arrives with a diagnosis. Some kind of conventional diagnosis, but what I do or would any homeopathic doctor practitioner does that first appointment, it’s called the case taking. It’s typically 90 minutes and during that case taking, our goal is to understand whatever we can about the person who had that person express himself or herself very important in their own words and for us ultimately to understand what’s unique about that individual and to find one specific homeopathic remedy out of those 4,000, which best fits that person. And it’s really fascinating because it’s not a remedy for that person at that moment in time. If it’s a chronic illness, it’s often a remedy, which that person is needed for years or maybe even back to childhood. So we mentioned earlier about the homeopathic pills at the local natural health store that I know I’ve seen. Do you consider these okay for people to take or are they throwing their money away? Is there something that people should be looking for if they want to try and deal with an acute problem for themselves? For acute problems, I highly encourage people to get our book or another really good book which gives you a clear guidelines about what to take and what, when to take this particular remedy, when to take that particular remedy. And yes, definitely you can treat yourself. You can treat your family for first aid and acute illnesses. Of course, if you need urgent care, obviously you need to go do that. But homeopathy, I think my bladder infection story is a good example. My husband had parents call, they’re a little girl had set on a woodstove that same remedy cantharis totally took care of her burn. So, we don’t at all put people at risk by not getting urgent care when they need to put homeopathy can just be brilliant and for self treatment for our book and similar books have 50 to 70 conditions where you can treat yourself for diarrhea and flu and sore throats and, all different kinds of things like that. You mentioned that in India it’s very different and that they actually used homeopathy in hospitals. And how do you see that here in north America, the future of homeopathy? Do you think it’s ever going to become more accepted and mainstream as time goes by? Well, it’s a difficult question right now because the last I would say four or five years had been very difficult worldwide for homeopathy except in India. There’s false information that’s being spread. There’s studies that are not a really a unbiased and there is an attempt to really, get rid of homeopathy to be honest with you. And we have not seen that before to this extent in our lifetimes. And there’s, there’s a film that you might want to see. It’s a new film called One Drop Homeopathy or you can certainly do your research, but, there have just been letters written to the FDA to ask that please let homeopathy continue to be available. It’s very ironic because it is so safe. It is so effective and it is ideal for children, for pregnant women. And, and yet, these claims that homeopathy is dangerous are really, really unfounded and untrue. Actually, that leads into my next question because I was going to ask you if there’s anybody who maybe shouldn’t take homeopathy and I was going to say pregnant women or, or what about people on maybe prescription medication? Does it interact with that at all or. No, in other words, homeopathy is gentle. It’s safe and it can be used along with any of those other medications. And it’s ideal for pregnant women. It’s ideal for babies. It’s so gentle. It’s not going to cause the side effects that you have to worry about with conventional medicine. So what are some kind of your last words for somebody who’s considering maybe trying homeopathy, who’s never heard of it? This is kind of their first time hearing about it. Can you leave us just with some last words? Yes. I would say if you have a health issue or one of your loved ones has a health issue, no matter what that is, it can be just, I’m an acute illness that’s really annoying and bothering you. It can be chronic depression, anxiety, migraines, a constipation. Try homeopathy first because you really don’t have anything to lose and it’s fine. Go to your conventional medical doctor, get diagnosed, find out what you have, find out what is recommended, but then if you want to try something safe, natural, effective, find a really qualified homeopathic practitioner to help you. Well, Dr. Reichenberg-Ullman, thank you so much for joining us today and teaching us all the basics of homeopathy. I know I’ve learned quite a lot from you. People have very little to lose to try homeopathy and potentially a great deal to gain. And for more information about homeopathy or how to schedule an appointment with Dr. Reichenberg-Ullman, please visit her website healthyhomeopathy.com. You know, education really is essential in allowing ourselves so many more options for when trying to treat illness. The more informed about our options we are, the more choices we really have when looking for a remedy. So hopefully this interview today opened up, some of our listeners ideas to really giving homeopathy a try for any specific ailment they may be suffering with. Now, speaking of being informed, one of the best ways to stay up to date with the latest news from Doctors Health Press is to sign up for our free daily bulletin. You see, this is a daily letter which is really full of great alternative and natural health advice and it’s delivered to your inbox every morning. You can sign up for this letter for free on our website at doctorshealthpress.com. We also have a really great special promotion for our listeners today. Now we’re offering one of our Doctors Health Press publications at a discounted rate and our publications are monthly newsletters that keep you informed about the latest in natural healthcare. These newsletters are packed full of the latest news research and tips on natural health. But today is a special one because we’ve been speaking about homeopathic remedies. We’re offering our newsletter that’s full of great advice about homeopathy. So all you need to do to sign up for this great promotion is just visit doctorshealthpress.com/podcastdeal to see this offer. So that’s doctorshealthpress.com/podcastdeal All one word to learn more about this incredible offer. If you’ve enjoyed this podcast today, trust me, you don’t want to miss out because this newsletter is going to give you everything you need to know about homeopathy. 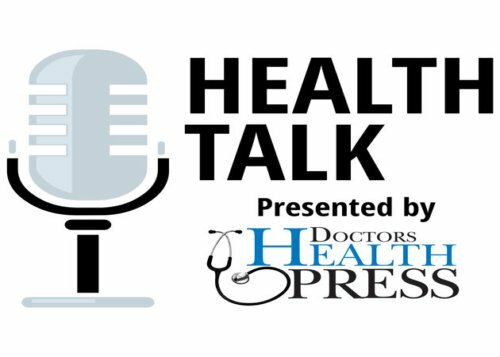 I hope you’ve enjoyed this week’s episode of Health Talk by Doctors Health Press. Don’t forget to check out our previous episodes and if you like what you hear, give us a review. So, if you’re listening on iTunes or Google Play or any one of the other platforms that allows you to rate us, please give us a star and let us know that you like what you’re hearing. Until next time, I’m Sarah Cownley reminding you that it’s never too early or too late to work towards being the healthiest version of yourself. The information contained herein is for information purposes only and is not to be construed as a diagnosis, treatment, preventative, or cure for any disease or abnormal physical state, nor should it be considered a substitute for medical care from your doctor on any matter relating to your health or wellbeing and prior to undertaking any health related activity. Be sure to consult with an appropriate health professional. The opinions herein are exactly that. They are the opinions of our guests. Doctors Health Press and its employees are not responsible for medically unsupervised activities that could be harmful to your health. Results are not guaranteed and may vary from person to person.